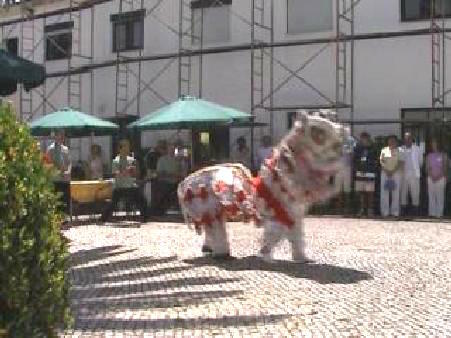 When Grandmaster Wong visited Portugal on 11th March 2008, Shaolin Wahnam Portugal surprised him with a Lion Dance welcome. 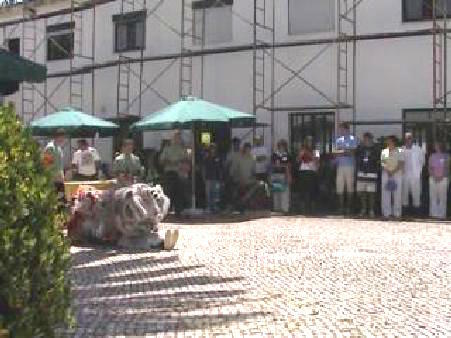 The Portuguese Lion Dance team had practiced on their own with the help of videos for only a few sessions, yet they presented an impressive performance. Please click on the pictures or their captions to view their performance.. 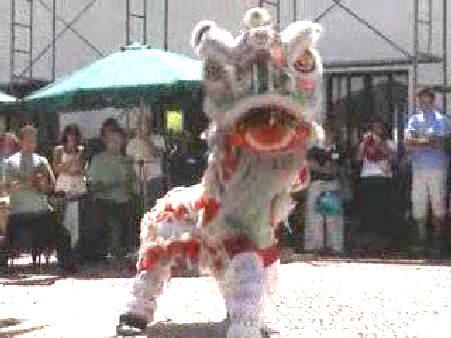 Please note that you can download the video clips onto your own computer and view them at your leisure. 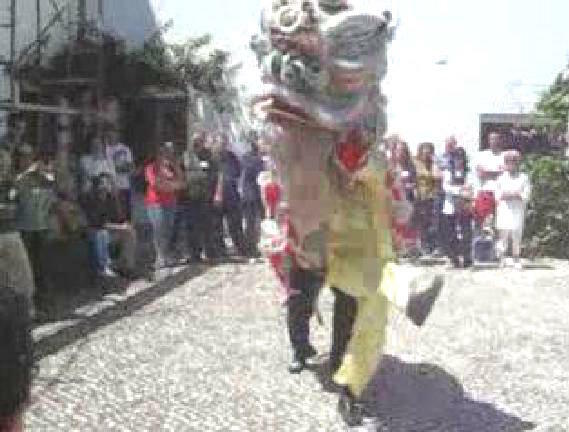 Enter the webpage (not this one) where the selected video clip can be downloaded. 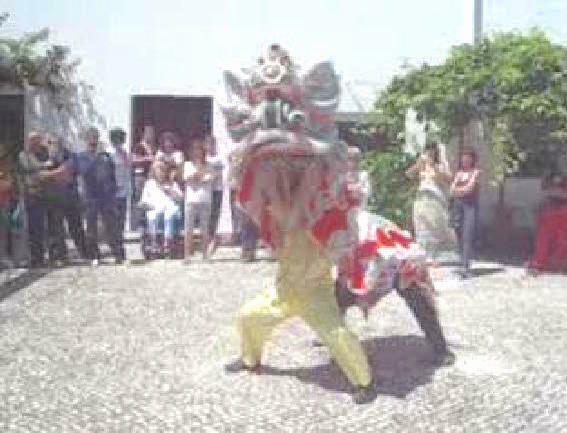 Place your computer pointer at the picture or one of the links, and right click. Choose ?Save Target As?. 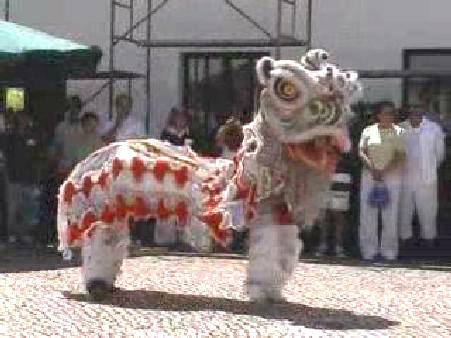 Select the directory or sub-directory where you wish to keep the video clip. Click ?Save?. The size of the video clip is 4.28 mb. The size of the video clip is 3.40 mb. The size of the video clip is 3.22 mb. The size of the video clip is 2.75 mb. 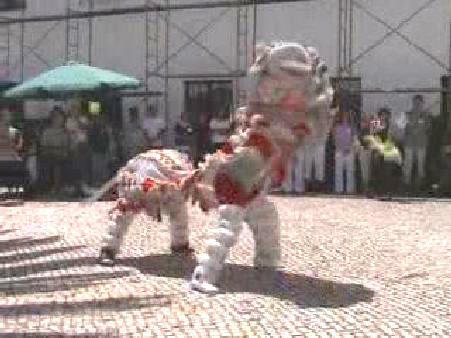 Lion Dance by Shaolin Wahnam Portugal 2008 from Wong Kiew Kit on Vimeo.